Dr Sarah Clarke MA MD FRCP FESC FACC, is a Consultant Cardiologist at Papworth Hospital, Cambridge and was elected President of the British Cardiovascular Society (BCS) in 2014, taking up office in June 2015 for a 3 year term. Dr Clarke trained in Cambridge and at the Massachusetts General Hospital in Boston, USA. She was appointed Consultant Cardiologist (Interventional Cardiology) at Papworth Hospital, Cambridge in 2002. She was Clinical Director for Cardiac Services (2006-2012) and appointed Clinical Director for Strategic Development from 2012. She was cardiology lead for the design of New Papworth Hospital (opening 2018) on the Cambridge Biomedical Campus and is involved in the delivery of the transition programme. 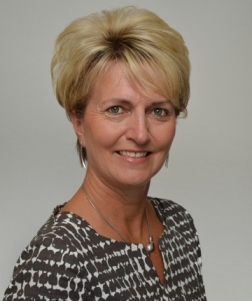 She has recently been appointed Clinical Lead for the Elective Care Working Group for the Cambridge and Peterborough CCG System Transformation Programme (includes cardiology, ophthalmology, orthopaedics and ENT). Dr Clarke is the Clinical Lead for the Cardiovascular Clinical Study Group at the Eastern Academic Health Science Network. She is the international editor of the e-newsletter of the ACC, a member of the Women in Cardiology Council at the ACC and Series Editor for Education in Heart. Formerly Vice President of Education and Research at the BCS (2011-2014), Dr Clarke reinvigorated the Annual Conference as the 'must go' meeting for general cardiology for trainees and trained cardiologists facing revalidation. She established new courses including the 'Year in Cardiology' held each year at the RCP and serialised in the European Heart Journal 5 years ago, and a course for industry employees to educate in general cardiology and the subspecialties. As President of the BCS she has developed a 3 year strategic plan which will focus on a new website to improve communication and interaction with Members and Affiliated Groups, delivering BCS branded education to a wider audience at home and overseas and facilitating greater participation and delivery of research in secondary care through the Clinical Study Groups. Dr Clarke welcomes you to the Conference!